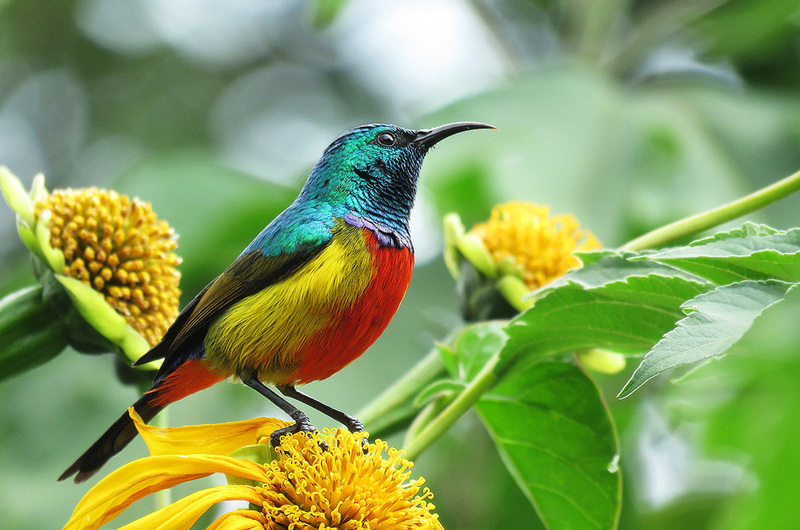 Kenya has one of the richest avifauna in Africa, with up to 1,132 bird species recorded. Out of which 9: Taita Thrush Turdus helleri, Tana River Cisticola Cisticola restricts,Aberdare Cisticola Cisticola aberdare, Taita White-eye Zosterops Silvanus, South Pare White-eye Zosterops kulalensis, Hinde’s Pied-BabblerTurdoides hindei, Williams’s Lark Mirafra williamsi, Sharpe’s Pipit Macronyx sharpie, Clarke’s Weaver Ploceus golandi, are national endemics. The variation in habitats across Kenya guarantees specific bird lists, making it a fascinating part of the world for a birder’s stop. Much of the country is open grassland to open bush-land; birds are relatively easy to see. Birding specialty tours reckon 600 species in a mere 3 weeks tour! Kenya has around 170 Palearctic migrants, mainly from Eastern Europe, Russia, the Middle East and Siberia (11 of which with a local breeding population too). Another 60 migrate regularly within the Afrotropics or from Madagascar. Some 335 of Kenya’s bird species are found in forests; 230 are entirely forest dependent, and 110 are ‘forest specialists’, requiring intact, undisturbed habitat. 40 species of global conservation concern are known to occur in Kenya; 4 of these are Critically Endangered, 2 endangered and 16 Vulnerable. One, Tana River Cisticola Cisticola restrictus, is classed as Data Deficient. Sharpe’s Pipit Macronyx sharpei, classified as Near Threatened and Aberdare Cisticola Cisticola aberdare, not listed by Collar et al. Kenya includes smaller portions of three other Endemic Bird Areass: the Tanzania– Malawi Mountains with 3 out of 37 species, all in the Taita Hills, the Serengeti plains 3 out of 6 species, and the Jubba and Shabeelle valleys with 1 out of 5 species; Jubba and Shabeelle valleys touches Kenya in the extreme north-east of the country. The Taita Hills are geologically the northernmost representatives of the Eastern Arc Mountains of Tanzania and Malawi, but have no restricted-range bird species in common with the rest of the Endemic Bird Areas. Secondary Areas include the Kakamega and Nandi forests, with Chapin Flycatcher Muscicapa lendu, the North Kenyan short-grass plains with Williams’s Lark Mirafra williamsi and Mount Kulal with South Pare White-eye Zosterops kulalensis. The most significant biomes are the Somali–Masai- Kenya has 94 of its 129 species, the East African Coast- 29 out of 38 species, the large Afrotropical-70 out of 226 species, and the small Lake Victoria Basin- 9 out of 12 species. The easternmost outliers of the Guinea–Congo Forests biome also occur in Kenya- 43 out of 277 species, along with a small portion of the Sudan–Guinea Savanna biome-13 out of 55 species. Many sites in Kenya are important for congregatory birds. The coast, with its creeks, reefs and beaches, is a major flyway for migratory waterfowl from the Palearctic, as is the chain of lakes stretching along the rift valley from Turkana in the north to Magadi in the south. The rift’s alkaline lakes also provide periodic feeding stations for enormous numbers of Lesser Flamingo Phoenicopterus minor. Several small coral islands off the coast shelter important breeding colonies of Roseate Tern Sterna dougallii and other seabirds. For amazing numbers, the best time is between October and April when more than 120 migrant species have arrived from the Northern hemisphere, mostly from the Palearctic but with some African migrants such as Forbes-Watson’s Swift; there is also the chance of finding one of the passage migrants such as the Sooty Falcon in March-April and October-December. The coast is particularly good during this period with large flocks of waterfowl congregating at Mida Creek and Sabaki Estuary, while The Rift Valley lakes and Amboseli attract a lot of northern waterfowl. From April to October the Northern Migrants are replaced by birds from the southern hemisphere and Madagascar, but these are much fewer, no more than 10 or 12 species. It is however the time when many of the birds are in breeding plumage following the long rains, which makes species such as the various weavers much easier as well as much more colourful. This is also the best time of the year for game viewing. In July and August the huge herds of wildebeest and zebra enter the Maasai Mara and provide spectacular game watching. This also makes vultures sightings much easier due to the large numbers of mammals that never survive the migration. 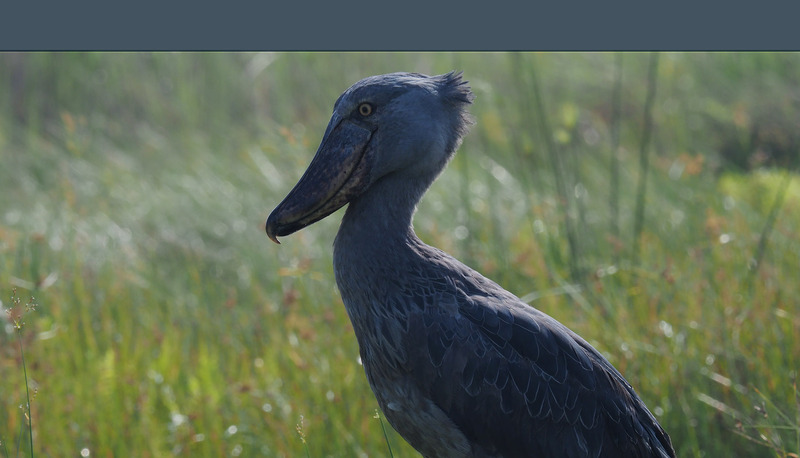 The Mara River regularly collects mixed flocks of vultures and Marabou Storks feeding on the animals that failed to cross the river. There are usually healthy numbers of crocs as well! Another to put in mind is the weather; Kenya is characterized by two seasons- wet and dry. Aside from the obvious disadvantages of trying to peer through binoculars in a tropical storm the rainy seasons can leave many roads and tracks unusable, especially if you don’t have the advantage of 4WD. This can leave some parks, or parts of some parks, totally unreachable. The long rains are usually between March and June with the highest levels of rainfall in April and May. The short rains start in late October and go through to December. It does however vary throughout the country and Northern Kenya is generally happy for any rain it can get.